“I will guide you to the safest place on Earth.” Whenever Ji Eun-tak was in danger, Kim Shin takes her into his house. 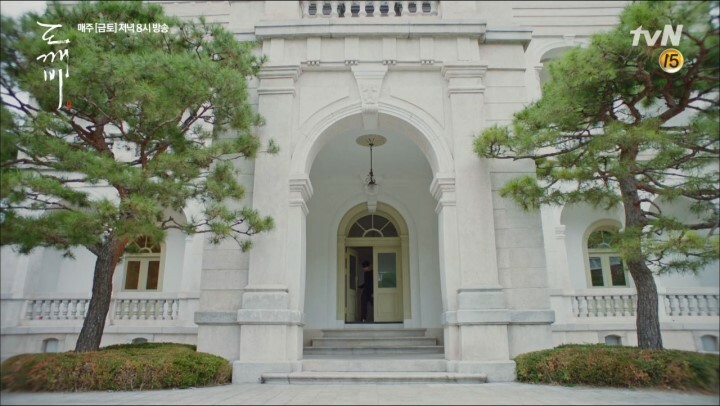 The majestic residence in which Eun-tak, Goblin and his friend Grim Reaper (played by Lee Dong-wook) end up living together was filmed at Yanggwan Hall located within Unhyeongung Royal Residence. 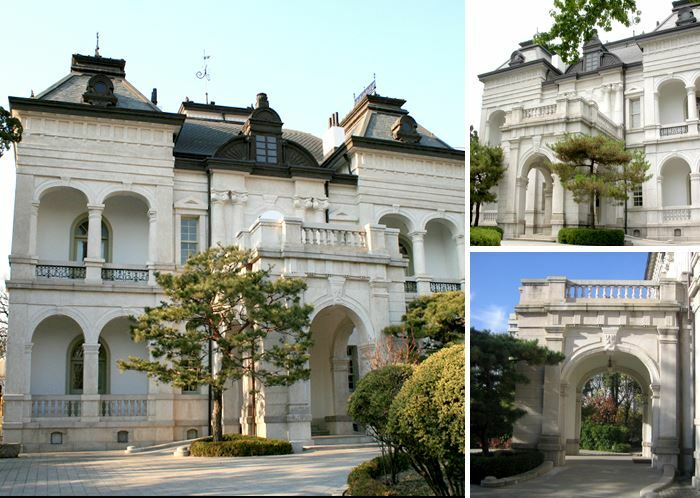 Formerly the private residence of Yi Jun-yong, the grandson of the regent Heungseon Daewongun, Yanggwan Hall was constructed in 1907 by a Japanese ambassador who was seeking the favor of the royal family. The hall was one of the earliest examples of Western-style architecture in Korea, and it has also been featured in the K-Dramas Princess Hours and The King 2 Hearts.